Original photo by "hectorir":http://www.flickr.com/photos/hectoralejandro/3967217852/ on Flickr. Photo illustration by Susan Currie Sivek. I’ve never seen a “Not for Individual Sale” label on a magazine story. So why can’t I buy most individual magazine articles in digital form just yet? Selling stand-alone stories has seemed like a potential business model for magazines and other journalism organizations since the rise of iTunes. Observers hyped an incipient micropayment business model for journalism. But few companies have tried this model, instead offering complete digital editions and, whenever possible, digital subscriptions. The advantages of that approach are clear: packaging more into the product justifies a higher price, and loyal subscribers attract advertisers. Yet with the growth of e-reading on tablets and mobile devices, as well as new options for processing small payments for content (e.g., PayPal, Facebook, Apple’s App Store), marketing individual stories may soon gain fresh appeal. Magazines exploring this option would have to maintain their brand reputation and their editorial voice by carefully selecting stories to sell and ensuring that they respect their relationship with existing readers. Recent experiments with selling individual stories show, however, that it can be done successfully. The only cloud on the horizon could be Apple’s new subscription service for iOS, which demands that the company gets 30% of all subscription sales. Well-known magazine The Atlantic ended its monthly publishing of short fiction in 2005, and now offers a single fiction issue yearly. However, the magazine, founded in 1857, wanted to explore other ways to continue its legacy of publishing fiction, and so recently finished a year-long experiment that made two short stories per month available exclusively on the Kindle. These were labeled on Amazon as Atlantic Fiction for Kindle. The Atlantic’s access to established writers, such as Joyce Carol Oates and Paul Theroux, was a significant part of its success. Havens said the popularity of each individual story correlated to the prior popularity and “salability” of their writers. When Amazon customers searched for those authors’ work, The Atlantic stories also came up in the results. 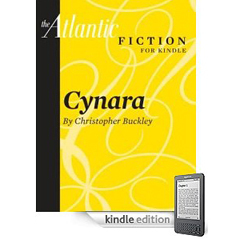 Overall, Havens said, Atlantic Kindle for Fiction “was a worthwhile effort, and it was a successful financial venture for us.” The Atlantic is now working on new ventures for other digital platforms, and the complete magazine remains a top seller on the Kindle. Clearly, The Atlantic’s pre-existing brand strength and its ability to involve recognized authors factored into its achievement. However, smaller ventures can also establish a reputation for quality. One Story is a non-profit that publishes one story every three weeks in print format, and also publishes them on the Kindle, where One Story is ranked 19th among bestselling magazines. Maribeth Batcha, publisher and co-founder of One Story, said that after just a year of availability, readership on the Kindle was as high as the print edition’s readership after four years of publication. Kindle and print readers receive a new story every three weeks, representing varied styles and genres. The magazine will only publish an author once, and yet it still has a recognizable character as a publication. For mainstream, established magazines, this may be a major challenge in attempting single-story sales. Can a lone story express enough of an editorial identity to appeal to readers on its own? Editors must select stories strong enough to stand alone not only for their quality and timelessness, but also for their ability to effectively communicate to readers the magazine’s distinctive larger brand and “curatorial” identity. One Story also counts on the audience’s passion for writing itself. The magazine’s readers, Batcha said, are “serious.” The non-profit magazine seeks donations and is partly grant-funded. It has also organized writing workshops and encourages educational uses of the magazine to promote the short story to young audiences. A new project that sells individual stories is also hoping that readers’ support for substantial, long-form writing and its writers will lead to success. The Atavist, which launched January 26, publishes stand-alone, in-depth non-fiction articles that are longer than most magazine pieces, especially given today’s ever-shorter features. The articles, priced at $2.99, are available through the publication’s iPad/iPhone apps, as well as on the Kindle and Nook e-readers. Income from the stories is shared between The Atavist and the authors. The Atavist is not affiliated with a print magazine, though its founders are interested in partnering with both established and startup book and magazine publishers. There may also be advertising possibilities, though their style may depend on readers’ preferences. 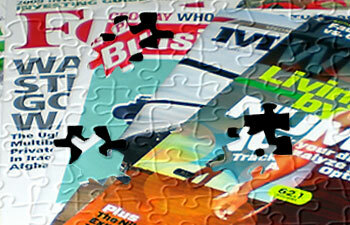 “Magazine readers are really amenable to advertising, but book readers are not. It’s acceptable in one place, but not in the other,” Ratliff said. The Atavist is also part of a new Amazon venture called Kindle Singles, which Amazon says= “allow a single killer idea — well researched, well argued and well illustrated — to be expressed at its natural length,” generally from 5,000 to 30,000 words. 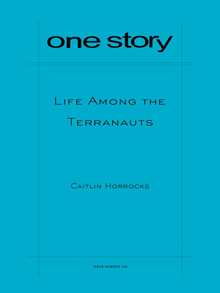 In addition to the two non-fiction stories published as Singles by The Atavist, Amazon also has published short story collections and novellas as Singles, as well as non-fiction pieces based on TED talks. Amazon is taking submissions for Singles not just from the public, but also from publishers, making it possible that magazines and other established publications could sell individual long-form stories as Singles. One reason most journalism organizations haven’t attempted a pay-per-story model, even in the form of micropayments, is that breaking news is available in so many places for free. However, these experiments show that readers may be willing to pay for timeless content that offers an immersive experience, as do long-form non-fiction storytelling and short fiction. The Atavist includes substantial multimedia in its stories — such as photos, videos, maps, timelines, audio, and slideshows — which smoothly integrate with the articles’ text. One Story is also considering developing short videos — such as author interviews — to accompany its fiction. Right now, established print magazines have little incentive to create multimedia to supplement their stories, since most print readers won’t go online to check out associated multimedia after they finish reading. However, adding multimedia enhancements for particular stories could make selling them singly more intriguing to readers and more profitable. If magazine publishers can identify stories that provide rich, deep reading experiences, and then add engaging multimedia to develop that experience even further, they may be able to leverage their brands and editorial authority to market individual stories successfully. Other possibilities might include packaging stories on one topic together in one download, or combining stories from different magazines in a collaborative product. Individual stories or packages of stories can be sold through apps, websites, and vendors like Amazon or Barnes & Noble. However, the iPad and iPhone might become more difficult platforms for single-serve content if Apple keeps a large percentage of the subscription price. It announced a 30% cut for all subscriptions sold in-app, which has brought an avalanche of bad press for Apple. We’ll see if that deal holds, or whether competing subscription services, such as Google One Pass pressure Apple to loosen restrictions. Given the relative ease of repurposing digital content and the limitless possibilities offered by multimedia, magazine publishers may have an opportunity to reach a bigger audience on multiple platforms. If these ventures flourish, it will be simply because readers love to lose themselves in a good story. Susan Currie Sivek, Ph.D., is an assistant professor in the Mass Communication and Journalism Department at California State University, Fresno. Her research focuses on magazines and media communities. She also blogs at sivekmedia.com, and is the magazine correspondent for MediaShift.